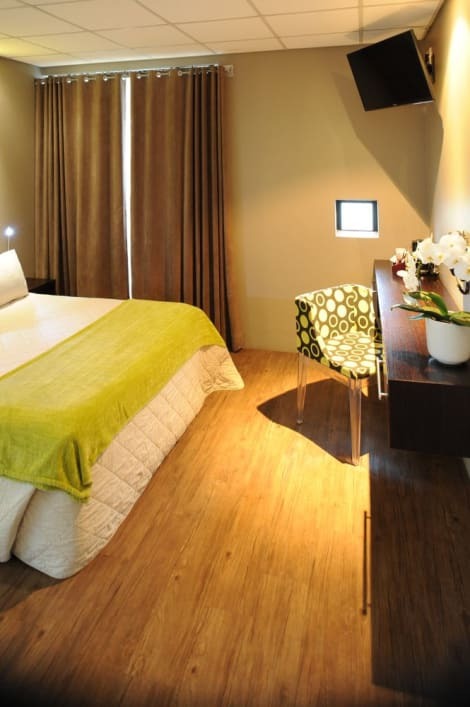 This charming hotel is set in Bloemfontein. Visitors will enjoy a peaceful and calm stay on the premises, as it counts with a total of 5bedrooms. Pets are not allowed at this establishment. Featured amenities include a business center, dry cleaning/laundry services, and laundry facilities. Planning an event in Bloemfontein? This guesthouse has facilities measuring 80 square feet (7 square meters), including a conference center. Free self parking is available onsite. Featured amenities include express check-out, a 24-hour front desk, and luggage storage. This hotel has 2 meeting rooms available for events. A roundtrip airport shuttle is provided for a surcharge (available 24 hours), and free self parking is available onsite. Located in Bloemfontein, Bains Lodge is in a rural location, within a 10-minute drive of Mimosa Mall and University of the Free State. 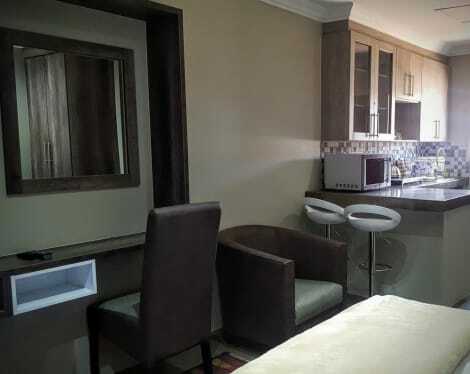 This lodge is 4.6 mi (7.4 km) from Goodyear Park and 4.8 mi (7.8 km) from Free State Stadium. Enjoy recreational amenities such as an outdoor pool and a spa tub. This lodge also features complimentary wireless Internet access, babysitting/childcare, and tour/ticket assistance. Featured amenities include a business center, a 24-hour front desk, and luggage storage. Guests may use a roundtrip airport shuttle for a surcharge, and self parking (subject to charges) is available onsite. Featured amenities include complimentary newspapers in the lobby, dry cleaning/laundry services, and luggage storage. Event facilities at this bed & breakfast consist of conference space and a meeting room. A roundtrip airport shuttle is provided for a surcharge (available 24 hours), and free self parking is available onsite. Make yourself at home in one of the 21 air-conditioned rooms featuring flat-screen televisions. Complimentary wireless Internet access keeps you connected, and satellite programming is available for your entertainment. Private bathrooms with showers feature complimentary toiletries and hair dryers. Conveniences include laptop-compatible safes and desks, and housekeeping is provided daily. Enjoy a meal at the restaurant or snacks in the coffee shop/café. The hotel also offers room service (during limited hours). Quench your thirst with your favorite drink at the bar/lounge. English breakfasts are served on weekdays from 6:30 AM to 9:30 AM and on weekends from 7 AM to 10 AM for a fee. 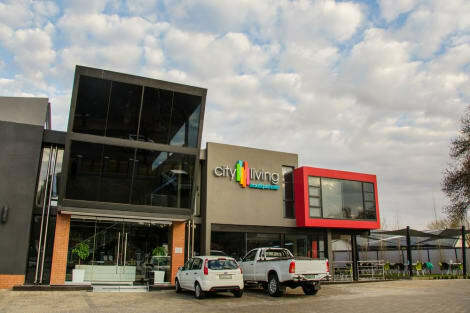 lastminute.com has a fantastic range of hotels in Bloemfontein, with everything from cheap hotels to luxurious five star accommodation available. We like to live up to our last minute name so remember you can book any one of our excellent Bloemfontein hotels up until midnight and stay the same night.